Does anyone else out there have a mild obsession with twinkling lights spread throughout their yard and garden at night? I love my yard at night with it’s hundreds of little lights glowing so warmly. It reminds me of lightning bugs floating around. 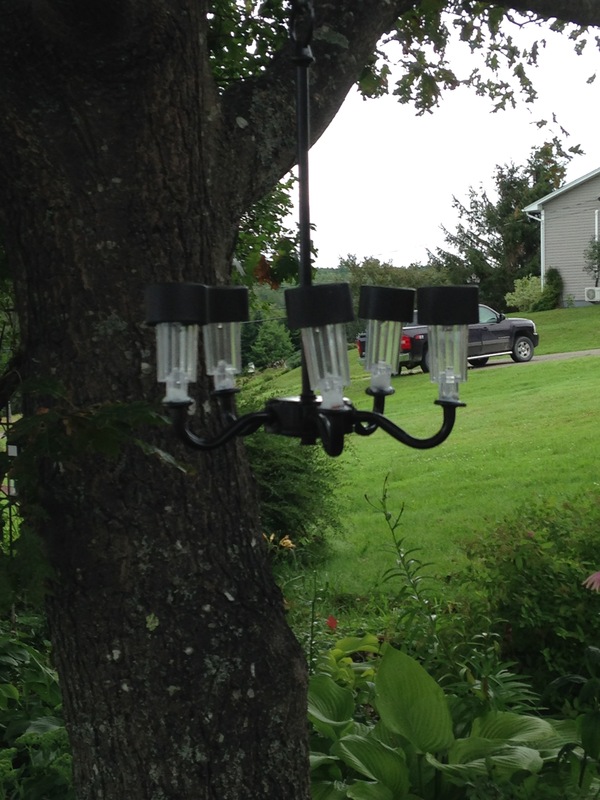 I up-cycle old, often ugly, chandeliers into charming solar accents that hang elegantly from tree branches as shepard’s hooks. This is so easy to do! 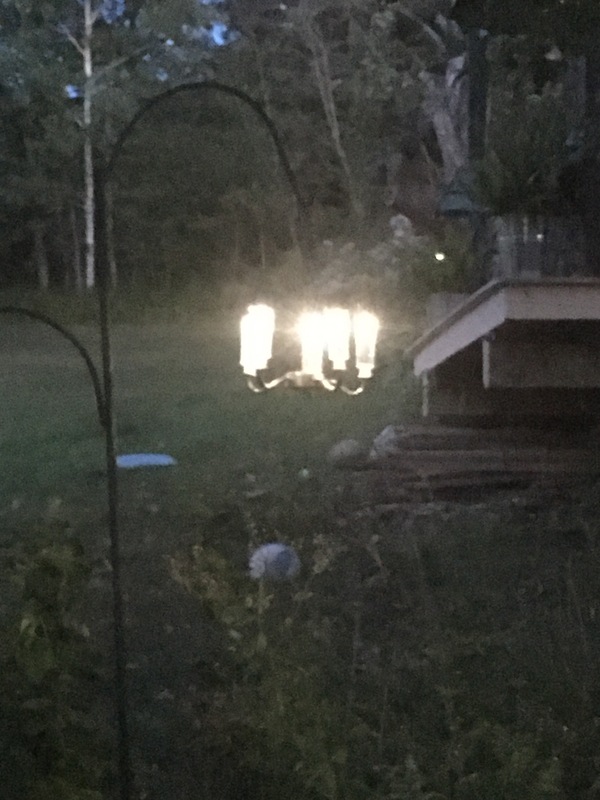 Solar garden lights. Dollarama and Walmart sell great ones for as little as $1.50 each. Glue. I like Gorilla glue the best. Sets up super fast and holds crazy well. Wire cutters or pliers are handy for removing any stray wires and cords. When picking out your chandelier, look beyond it’s gross colour, or strange globes in the lights because they can all change or disappear. I always look for clean lines and the basic structure is what matters. Spray your fixture the desired color. It usually takes 2 coats to cover well. 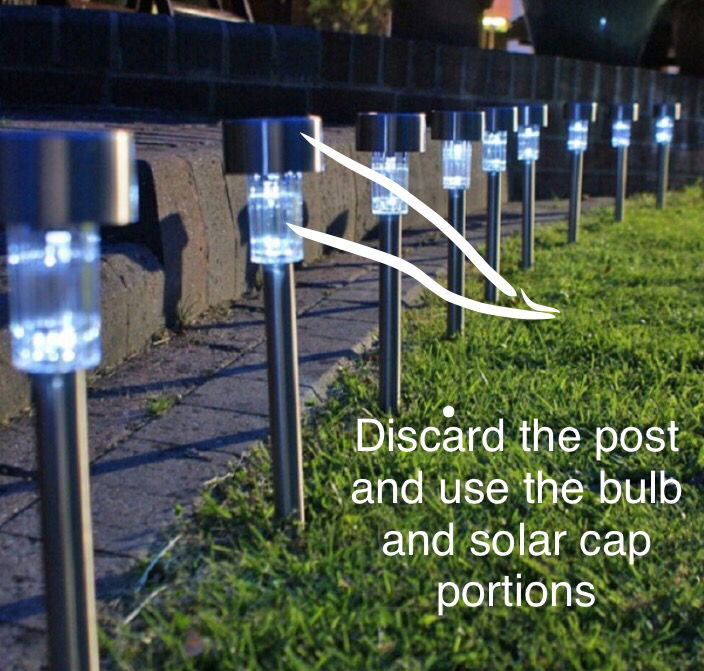 Disassemble your solar garden lights, remove post (leaving only the bulb and solar parts) and take out the tab that prevents battery from turning on. Glue solar light onto fixture. Give it an hour to set up and cure. 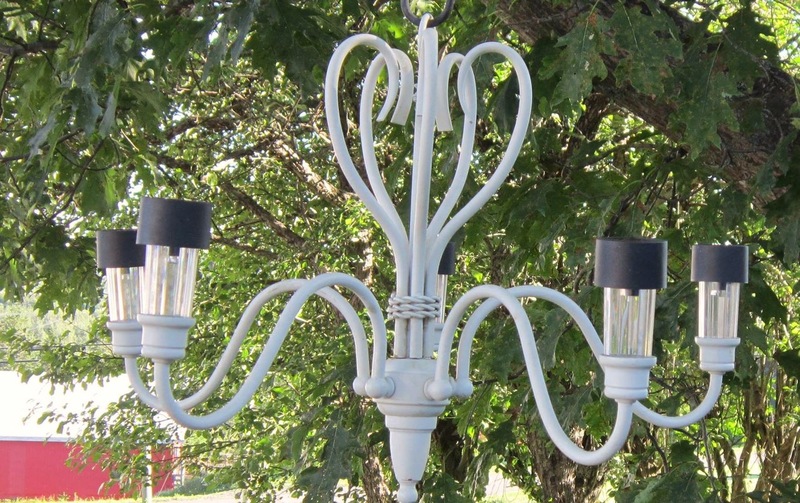 Hang in your favourite location in your garden or yard. 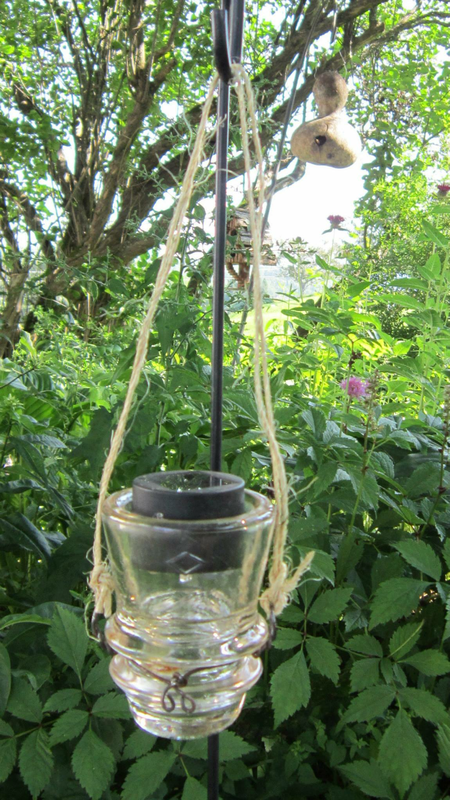 I have also used old insulators in a similar fashion. Too cute. 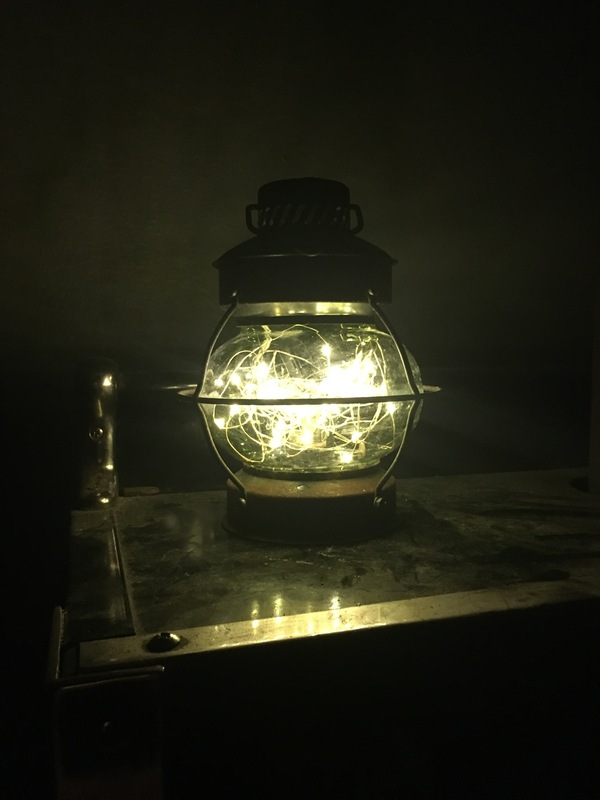 I also use battery operated candles and twinkle lights from the Dollarama in old lanterns to give a welcoming glow throughout my door yard. So pretty. Sigh. A new addition from this year’s Sussex Flea Market. A Kijiji free find that I stuck a battery operated candle in. 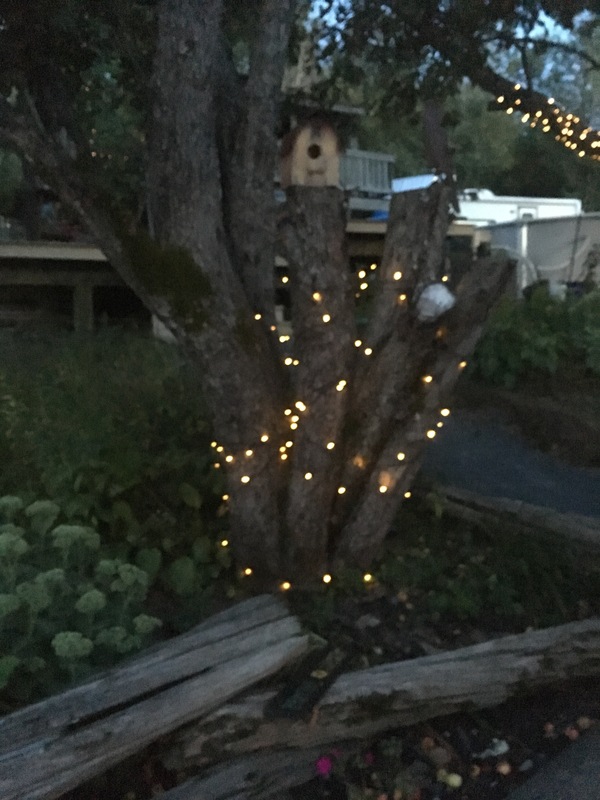 Solar fairy lights I found online. Very happy with them as all the ones I sourced locally were not the warm white that I prefer. Let your light shine brightly!